Summer tournaments, University Team opportunities, Regional AGM, Referee courses, Coaching modules etc – if any of these interest you please keep reading. University Challenge Saturday and Sunday 12th and 13th March at the Collingwood Club Venue Liverpool. venue at the Collingwood Academy. Entry Fee including the use of the SFX College camp site, and club bar facilities at £45.00 per team. The venue car park is free, by arrangement boats can be stored overnight at the venue. Sunday 11th September Polo Bolt-on module on one of these dates. Entry Fee £30 per team per tournament. £100.00 per 1 Team for 4 Tournaments if paid in advance by the closing date. 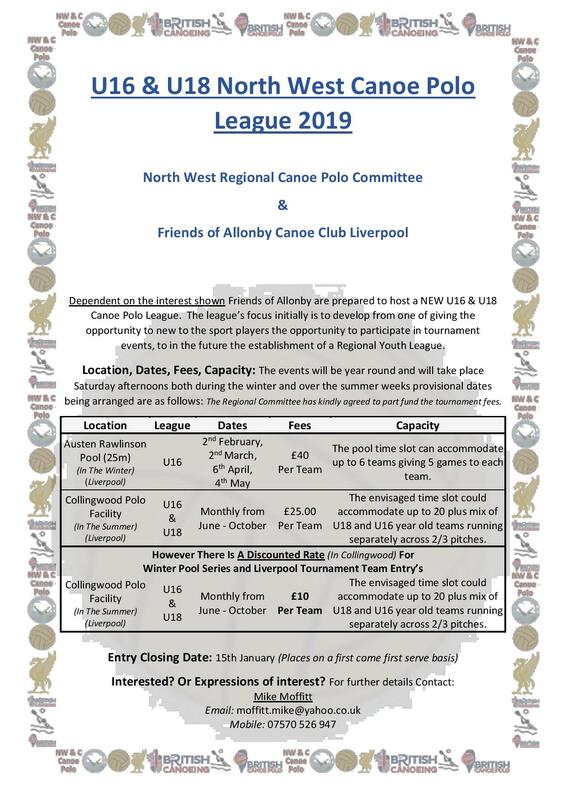 We are also planning to run the BC Canoe Polo Coach Bolt-on Module on one of the last two summer league dates (27th Aug or 11th Sep) depending on interest for each date. For this course you do not need to be a currently qualified coach, it can be done before attending a level 1 coach course.